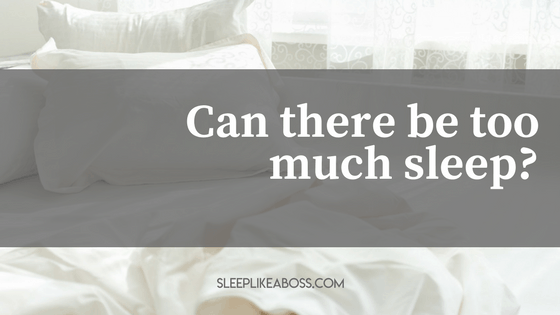 What Is Too Much Sleep and Is It Harmful To You? ​– Homer, ancient Greek poet, author of the Iliad and the Odyssey. Most of my clients come to me because they just can't get enough sleep. 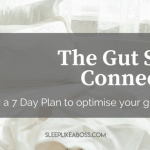 However, when I do corporate workshops or consult for businesses one of the questions that I am being asked over and over again is whether you can have too much sleep? It may come as a surprise to you to learn that sometimes getting too much sleep is actually a problem. However, as always don't panic just yet! Let's have a complete read first before jumping to any conclusions. Hypersomnia, or oversleeping, is a recognized medical disorder. People who suffer from it, have an almost constant need for sleep (which means not just your regular weekend lie-in). Daytime napping is not enough for them and they need unusually long periods of sleep at night. Think of someone who gets 10 hours of sleep every night and who is still completely exahusted. In that case please go and see a doctor and get a sleep lab analysis done. Other symptoms of hypersomnia are anxiety, low level of energy, and also memory problems. One reason why the normal sleep cycle is disturbed, might be obstructive sleep apnea - a disorder that causes breathing to repeatedly stop and start during sleep. This condition is linked to oversleeping and it is a serious problem. Yet not everyone who sleeps long hours has a disorder. This need varies according to different factors, one of which is our age. The use of alcohol or some prescription medications also influences the quality of sleep. Depression is another condition that causes too much sleep. And of course, there are people who simply like to sleep more than others. In general I refer to needing chronically more than 10 hours of sleep and still not feeling rejuvenated as worrying. What Are The Consequences of Too Much Sleep? Researchers put constant efforts in identifying the characteristics of the optimal sleep, meaning not too little not too much sleep, beneficial for the human body. They have been exploring how different habits influence our physical well-being and mental health. As a result, there are several trends showing a link between oversleeping and higher rates of disease and in extreme cases even mortality. 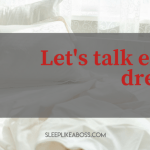 Do You Have a Healthy Sleep? While the ‘right’ amount of sleep is individual, studies show that most adults between 18 and 64 years old benefit from 7 to 9 hours of sleep in a 24-hour period. If you fall asleep within 15-20 minutes of lying down, longer time could be a sign of problem. When you wake up feeling refreshed, as if you’ve “recharged the batteries”. If you feel productive throughout the waking hours. Ask you partner to pay attention for unusual behavior on your side related to sleep. Also, do the same for them and for other family members – keep your eyes open for any disturbing behavior while they sleep. This includes noticable restlessness, snoring or pauses in breathing. Have a bedtime routine - keep the same bedtimes and wake times every day and stick to 20-30 minute powernaps if you need a pick me up. Avoid coffee, black or green tea, alcohol or dark chocolate close to bedtime hours. Eat healthily and have a light dinner – vegetables, nuts, white rice, bananas, warm milk with a bit of safran and tumeric and cinnamon or chamomile tea are a good choice. Exercising regularly will make you feel energized and will decrease the amount of sleep you need. Look at your bedroom – do you actually like the way it looks or could you make it more comfortable or "yours"? Is there enough fresh air in it. These tips can help you balance your body and mind and find the optimal way to have productive days and recharging nights.